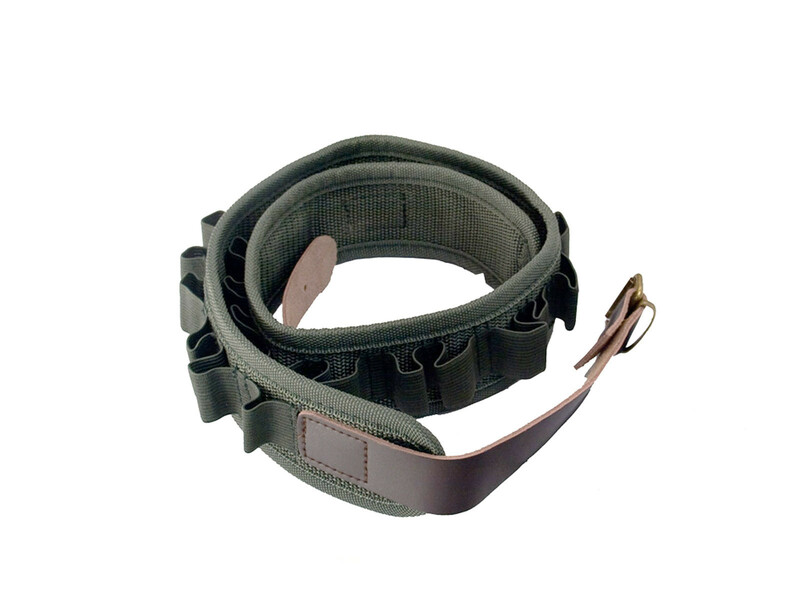 This lightweight belt accommodates 12g or 20g cartridges. Dark brown leather and brass buckle. Fits from 84cm (33inch) to 109cm (43inch).